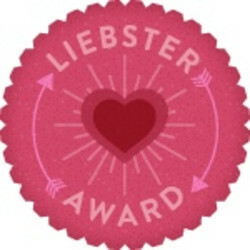 I’ve been nominated for the Liebster Award by Pri from http://priyashashri.wordpress.com/. Thanks so much Pri! This is a great way to spread the word about fellow bloggers who deserve some recognition! I love to write and as I gained this appetite for nutrition, food and fitness I thought this to be the perfect outlet. 2. When did you start your fitness journey? I’ve been an athlete (lacrosse player) since high school, but my real journey began in my senior year of college when I knew I had to start eating healthier and working harder. Oh I treasure my weekends! I start my weekends with Saturday morning yoga and take it from there – may visit family, hang out with friends or relax at my apartment creating and testing recipes. I may throw a workout in too ;). One of my absolute favorite blogs is http://chocolatecoveredkatie.com/ (Yes I have a sweet tooth!) but among my WordPress friends, I really like http://chiamiablog.wordpress.com/ and my newest follow http://healthylivinghealthyus.com/. 5. If you could change anything from your blog, what would it be? I’d want more flexibility with my layout! I like to get creative! I’m a sucker for all things peanut butter. I am not the biggest movie buff, but I do love Johnny Depp movies like Blow and Secret Window. 8. do you prefer cardio or lifting? Cardio – I really enjoy being outside if the weather’s right and this usually means a run. My boyfriend. Cheesy I know, but he’s one of the hardest workers (and fitness freaks) I know and he always makes me challenge myself mentally and physically. A sunny day full of free time, good food and great company! Cheers to all the small, growing blogs! Tags: liebster award, new bloggers. Bookmark the permalink.